The abbreviation for Applied Behavior Analysis. See Applied Behavior Analysis. The abbreviation for Americans with Disabilities Act. See Americans with Disabilities Act. The ability to adjust to new situations and to apply familiar or new skills to those situations. For example, a two-year-old is displaying his ability to adapt when he says, “Mine!” to the child who is attempting to take his toy. A five-year-old shows adaptive behavior when he is able to use the same table manners he uses at home at a friend’s house. An individual who represents or speaks out on behalf of another person’s interests (as in a parent on behalf of his or her child). Materials and activities designed to teach the child with special needs are appropriate for the child’s typically developing same-age peers. For instance, a toy designed for use with typically developing one-year-old children should not be used with a child who is eight years old, but who has the developmental abilities of a one-year-old. Federal civil rights law protecting individuals with disabilities. Enacted in 1990. A statement of the desired outcome of early intervention services or education for a specific child. Annual goals for early intervention are selected by the child’s parents and the child’s early intervention multidisciplinary team and are stated on the Individualized Family Service Plan (IFSP). Annual goals for education also are developed by a team that includes the child’s parents and are stated in the Individualized Education Program (IEP). Objectives may also be stated to provide developmentally appropriate activities and measurement of progress toward attainment of the goal. Applied Behavior Analysis (ABA) is not a particular treatment or therapy. ABA is the name of a professional field that uses principles of learning to increase performance of socially desirable behaviors. It always relies upon the collection of objective data to measure performance and the effectiveness of an intervention. ABA is used in industry, business and education as well as in the field of disabilities. The term “ABA” is sometimes used to refer to a one-on-one therapy that is named discrete trial training; however, it can also be applied using an incidental teaching approach. Some educational professionals as well as parents will use the term ABA when referring to discrete trial training. See Discrete Trial Training. The philosophy or paradigm that governs treatment selection and implementation. Asperger’s syndrome is one of the autism spectrum disorders (ASDs). People with Asperger’s syndrome have problems with social, emotional, and communication skills, as well as unusual behaviors and interests. Children with Asperger’s syndrome do not have a language delay and, by definition, must have an average or above average IQ (measure of intelligence). Children with other autism spectrum disorders may have a language delay and can have an IQ at any level. Special items or equipment used to increase, maintain or improve one’s functioning abilities. The term covers items such as computers, pencil holders, specialized switches and calculators.AudiologistA specialist who determines the presence and type of hearing impairment. An audiologist conducts hearing tests and makes recommendations for hearing aids. Any method of communicating without speech, such as by signs, gestures, picture boards, or electronic or non-electronic devices. These methods can help individuals who are unable to use speech or who need to supplement their speech to communicate effectively. A developmental disability that typically appears during the first three years of life. The result of a neurological disorder that affects functioning of the brain, Autism and its associated behaviors occur in approximately 1 of every 150 individuals. It is important to note that some children with intellectual disability, fragile X syndrome, psychiatric disorders, sensory deficits such as vision or hearing impairments, and certain rare neurological diseases have autistic-like characteristics, but do not have Autism. In older literature, Autism may be called infantile Autism or Kanner’s syndrome. See Pervasive Developmental Disorder. A term encompassing the condition(s) known as pervasive developmental disorder(s). See Pervasive Developmental Disorder. A written document that becomes part of the IEP and which identifies problem behaviors; sets goals for decreasing unwanted behaviors and increasing desired behaviors; and outlines interventions to use when specific behaviors occur. Sometimes called a behavior management plan. Gathering (through direct observation and by parent report) and analyzing information about a child’s behaviors. The information may be used to help the child change unwanted behaviors. Variables that are noted include when a behavior occurs as well as its frequency and duration. See Functional Assessment of Behavior. The structure that consists of the brain, the spinal cord and related systems that controls all aspects of learning, thinking and movement. Referring to the developmental area that involves thinking skills, including the ability to receive, process, analyze and understand information. Matching red circles and pushing the button on a mechanical toy to activate it are examples of cognitive skills. The developmental area that involves skills which enable people to understand (receptive language) and share (expressive language) thoughts and feelings. Waving goodbye, using spontaneous single-word utterances, and repeating five-word sentences are examples of communication skills. A nonverbal form of communication such as gesture, sign language, communication boards and electronic devices (for example, computers and voice synthesizers). A board or book with pictures or symbols that a child or adult can point to for expression of his or her needs. Difficulty with understanding and/or expressing messages. Communication disorders include problems with articulation, voice disorders, stuttering, language disorders and some learning disabilities. The term used to describe the condition of an infant or young child who is not achieving new skills in the typical time frame and/or is exhibiting behaviors that are not appropriate for his or her age. Some children who are developmentally delayed eventually have a specific diagnosis of a particular developmental disability. Other children with delays catch up with their typically developing peers. A severe chronic disability that is attributed to a physical or mental impairment, other than the sole diagnosis of mental illness, or to a combination of mental and physical impairments, is manifested before the individual attains the age of 22, is likely to continue indefinitely, results in the inability to live independently without external support or continuing and regular assistance, reflects the need for a combination and sequence of special, interdisciplinary, or generic care, treatment, or other services that are planned and coordinated for that individual. Teaching of skills acquisition is targeted at the child’s current developmental level, looking at the child’s current abilities across developmental domains (communication, social, cognitive, adaptive behavior, fine motor, gross motor). This practice relies upon principles of child development, with the expectation that skills acquisition typically occurs in a predictable sequence, even though the rate at which individual children learn may vary. For instance, it is generally expected that children will learn to use one or two word sentences before they will progress to three or four word sentences. Released in May 2013, the fifth and most recent edition of the Diagnostic and Statistical Manual (DSM-5) is often used by medical and other professionals to diagnose autism spectrum disorders. The Diagnostic Statistical Manual-5 has a new category called Autism Spectrum Disorders that encompasses autism or autistic disorder, Asperger’s disorder, childhood disintegrative disorder, and pervasive developmental disorder not otherwise specified. A method for teaching desired behaviors, skills or tasks. The skill being taught is “broken” down or sequenced into small “discrete steps” that are taught in a highly structured and hierarchical manner. Discrete trials consist of four parts: (a) the instructor’s presentation (the instruction) (prompt if needed), (b) the child’s response, (c) the consequence, (e.g., reinforcement or correction) and (d) a short pause between the consequence and the next instruction (between-trials interval). The instruction should be clear, concise, phrased as a statement, and given only once. Individualized services for infants and toddlers who are at risk for or are showing signs of developmental delay. The repetition of speech that is produced by others (a relatively common symptom of Autism). Echoed words or phrases can include the same words and inflections as were originally heard or they may be somewhat modified. Immediate echolalia refers to words immediately repeated or repeated a brief time after they were heard. Delayed echolalia refers to the repetition of speech much later—even after days or years.Environmental modificationsEnvironmental modifications are not direct instruction, but are therapeutic adaptations that are intended to reduce barriers to instruction. The ability to communicate thoughts and feelings by gesture, sign language, verbalization, or written word. Compare to Receptive Language. Special education and related services provided beyond the normal school year, in accordance with the child’s IEP and at no cost to the parents.ExtinctionEliminating or decreasing a behavior by removing reinforcement from it. It is similar to the functional analysis of behavior, but it differs in that those events before and after the behavior are not systematically changed in order to prove the function of the behavior. Based on the information gathered a judgment is made about the possible communicative function of the behavior(s). Functional Assessments are usually performed in order to develop behavior interventions and supports that address challenging or inappropriate behaviors. See Behavioral Assessment and Functional Behavior Analysis. The ability to take a skill learned in one setting, such as the classroom, and use it in another setting like the home or community. Physically guiding an individual through the movements involved in a fine motor task. Helping someone to grasp a spoon and bring it to his or her mouth is an example of hand-over-hand guidance. Abnormally increased motor activity, resulting in difficulty with concentrating on one task or sitting still. Due to their overactivity and impulsivity, children who are hyperactive often have difficulty with learning. Incidental teaching typically involves child-directed activities. The instructor observes and interacts with the child and uses any naturally occurring opportunities to provide relevant instruction (e.g., the child indicates that he wants a drink by pointing to the refrigerator, and the instructor models the correct language). The abbreviation for Individualized Family Service Plan for children under three years of age. See Individualized Family Service Plan. The general concept of including people with disabilities in all aspects of life, such as (but not limited to) education, community living, employment and recreation. See Least Restrictive Environment. A written statement of a child’s current level of development (abilities and impairments) and an individualized plan of instruction, including the goals, the specific services to be received, the people who will carry out the services, the standards and time lines for evaluating progress, and the amount and degree to which the child will participate with non-handicapped peers at school. The IEP is developed by the child’s parents and the professionals who evaluated the child. It is required by the Individuals with Disabilities Education Act (IDEA) for all children in special education, ages three years and up. A written plan describing the infant’s or toddler’s current level of development, the family’s strengths and needs related to enhancement of the infant’s or toddler’s development, goals for the child and the other family members (as applicable), including the criteria, procedures and time lines used to evaluate progress (the IFSP should be evaluated and adjusted at least once a year and reviewed at least every six months), and the specific early intervention services needed to meet the goals (including the frequency and intensity and method of delivering services, the projected date of initiating services and the anticipated duration of services). The IFSP is developed and implemented by the child’s parents and a multidisciplinary early intervention team (IFSP Team). The name of the person responsible for implementation of the IFSP, the case manager, should be listed on the IFSP. If it is likely at age three that the child will require special education services, a transition plan should also be stated in the IFSP. The Individualized Family Service Plan is required by the Individuals with Disabilities Education Act (IDEA) for all infants and toddlers receiving early intervention services. Refer to Early Intervention. The federal law reauthorized in 2004 that amends the Education for All Handicapped Children Act (Public Law 94-142). Part C of the law focuses on services to infants and toddlers who are at-risk or have developmental disabilities. It is characterized by significantly subaverage intellectual functioning, existing concurrently with related limitations in two or more of the following applicable adaptive skill areas: communication, self-care, home living, social skills, community use, self-direction, health and safety, functional academics, leisure and work. The educational setting that permits a child with disabilities to derive the most educational benefit while participating in a regular educational environment to the maximum extent appropriate. It is presumed that a child with a disability will be educated in the general education classroom, with appropriate supports, unless the IEP Team deems another setting as more appropriate. LRE is a requirement under the IDEA. The agency responsible for providing special educational services on the local (county) level. Also called Local School System (LSS). The learned ability to perform movements, such as holding the body in an upright position to sit, using the hands to manipulate small items, scooping food onto a spoon and bringing the spoon to the mouth, and moving the lips and tongue to articulate different sounds. Any form of or attempt at unspoken or “physical” communication. Examples are temper tantrums, gestures, pointing and leading another person to a desired object. Therapeutic treatment aimed at helping the injured, ill or disabled individual to develop and improve self-help skills and adaptive behavior and play. The occupational therapist also addresses the young child’s motor, sensory and postural development with the overall goals of preventing or minimizing the impact of impairment and developmental delay. The therapist also promotes the acquisition of new skills to increase the child or adult’s ability to function independently. The teaming of parents and teachers, doctors, nurses, therapists and other professionals to work together to facilitate the development of children and adults with special needs. Using trained single and multiple peers to promote social interaction and academic skills in children with disabilities. Redundant repetition of thought(s), word(s), or action(s) without stopping or moving on. The DSM uses the term Pervasive Developmental Disorder to refer to a “severe and pervasive impairment in several areas of development: reciprocal social interaction skills, communication skills, or the presence of stereotyped behavior, interests, and activities.” Sometimes doctors use the abbreviation PDD alone when diagnosing a child who has some, but not all, of the symptoms of Autism. Therapeutic treatment designed to prevent or alleviate movement dysfunction through a program tailored to the individual child. The goal of the program may be to develop muscle strength, range of motion, coordination or endurance, to alleviate pain, or to attain new motor skills. 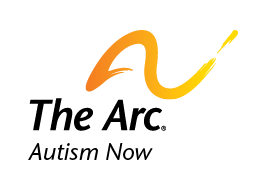 Is a communication training program for helping children with Autism acquire functional communication skills. Children using PECS are taught to give a picture of a desired item to a communicative partner in exchange for the item, thus initiating a communicative act for a concrete outcome within a social context. A set of procedures designed to increase motivation and promote generalization. It was developed to overcome problems of stimulus overselectivity and motivation. The intervention focuses on a set of specific procedures that increase responsivity to simultaneous multiple cues. The logic of teaching pivotal target behaviors is that educators might indirectly affect a large number of individual behaviors. Input that encourages an individual to perform a movement or activity. A prompt may be verbal, gestural, or physical. An example of a prompt is tapping beneath one’s chin as a visual reminder to the child to close her mouth to prevent drooling. Also known as a cue. An evaluation of the quality, rather than the quantity, of a child’s cognitive skills. The ability to understand what is being expressed, including verbal and nonverbal communication, such as sign language. Compare to Expressive Language. Reverting to an immature form of behavior or decreased skill level. Regression is usually felt to be an unconscious protective mechanism. A behavior modification technique used to increase the likelihood of a desired response or behavior. Positive reinforcement is accomplished by immediately strengthening or rewarding a desirable behavior. The reward can be a social reinforcer, such as praise or a hug, or it can be material, such as a sticker or cookie. One form of negative reinforcement is to withdraw a privilege. An evaluation tool designed to identify children who are at-risk for having or developing a developmental disability. This is different from a diagnostic tool that is used to determine if a person has, or does not have, Autism. Abnormal behaviors that are harmful to oneself, such as head-banging, scratching or biting oneself. Defined as abnormal behaviors that interfere with the individual’s ability to pay attention or participate in meaningful activity, such as head-banging, watching the fingers wiggle, or rocking side to side. It is often referred to as “self-stimming” or “stimming.” Unpurposeful play with a toy can be self-stimulating, such as repetitively spinning the wheels of a toy truck instead of exploring the different ways it can be used. In children, self-stimulation is most common when there is a diagnosis of intellectual disability, Autism or psychosis. A problem with receiving information through one or more of the senses (sight, hearing, touch, etc.). The ability of the central nervous system to receive, process, and learn from sensations in order to develop skills. The sensations include touch, movement, sight, sound, smell and the pull of gravity. Any arousal of one or more of the senses. For example, a play activity that includes touching strips of shiny cellophane, listening to them crinkle, and watching while a bright light is shining on them against a contrasting background might be fun and stimulating for a child with visual impairment. A disorder, such as Autism, that appears with a wide range of characteristics and functioning. At one end of the spectrum of Autism, individuals tend to have many challenging behaviors. At the other end individuals generally have greater cognitive abilities and can communicate relatively well with spoken language. Therapy to improve the individual’s speech and language skills, as well as oral motor abilities. Repetitive motor movements that occur frequently; examples include body rocking, hand flapping, and object manipulation. Any systematic method used to predict which stimuli will function as positive reinforcers for a child’s behavior. A group of interventions (techniques) that share a common approach. Process of breaking a skill down into smaller steps. A behavioral approach to teaching communication skills to children with Autism and other developmental disabilities, based on B.F. Skinner’s analysis of verbal behavior. Published with permission from Baltimore’s Child magazine and the Maryland State Department of Education, Division of Special Education/Early Intervention Services. Find similar content about: Autism 101.